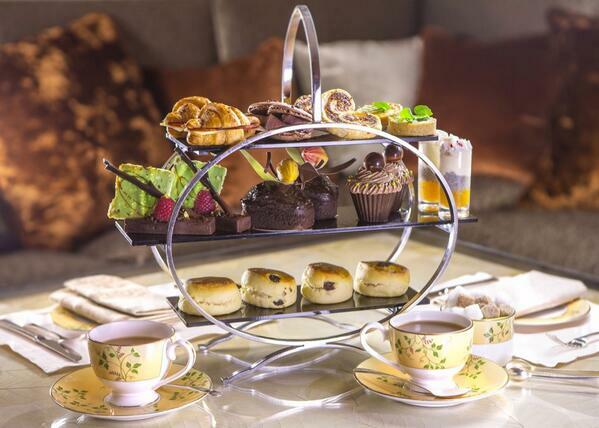 Jumeirah Carlton Tower is celebrating cocoa with the new Montezuma afternoon tea. Arriving at Chinoiserie in September, guests can indulge with this mouthwatering afternoon tea, available throughout Autumn. The tea was designed by master patissier and star of Channel 4’s Baking Mad series Eric Lanlard. Working closely with the hotel’s Executive Chef Simon Young, he has created an experience worthy of being named after the Aztec emperor who was responsible for introducing cocoa to the world. This innovative chocolate inspired menu starts with a selection of savoury delights including a Cocoa crusted roast beef taster and a White chocolate, sweet carrot & blue cheese tart topped with turnip angel hair. Guests will then enjoy elegant desserts including a Cassis imperial chocolate cupcake with balsamic blackcurrants, a Conquistador shot of passion fruit and white chocolate cream with basil seeds, topped with coconut jelly, and a Dark mini chocolate loaf with a liquid salted butter caramel filling. Chinoiserie at the luxurious Jumeirah Carlton Tower provides the perfect backdrop for afternoon tea with its sophisticated, décor and soothing music played by the resident harpist. Following a recent extension, there is a new curtained area that is ideal for groups desiring a little more privacy. For those wishing to host a business meeting, hold an intimate family event or have an informal get-together with friends, the extended setting will cater perfectly for this, while providing additional seating options for all guests in Chinoiserie. 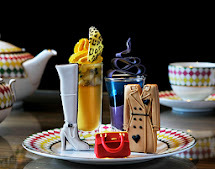 The Montezuma afternoon tea by Eric Lanlard is available at Chinoiserie from 01 September 2013 throughout Autumn and costs £40 per person; £50 per person with a glass of champagne or £55 with a glass of rosé champagne.